And Vans has a sneaker for every sized fan – from tots to adults. 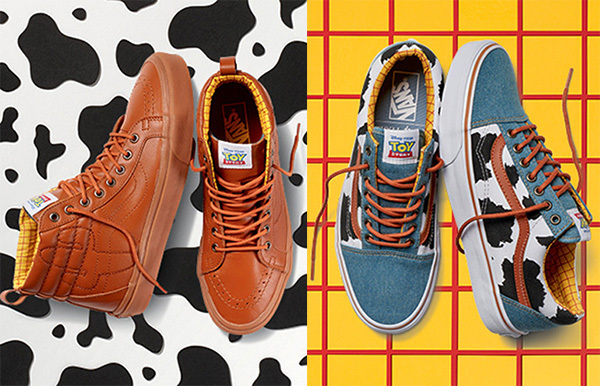 A long time Sheriff Woody fan, I whole heartedly understand the fanfare of this Vans release. It makes me want to throw confetti and watch Toy Story movies all over again. With the kids, of course. Kind of. Let’s kick off with the coolest of kicks. There’s shoes as far as the eye can see. 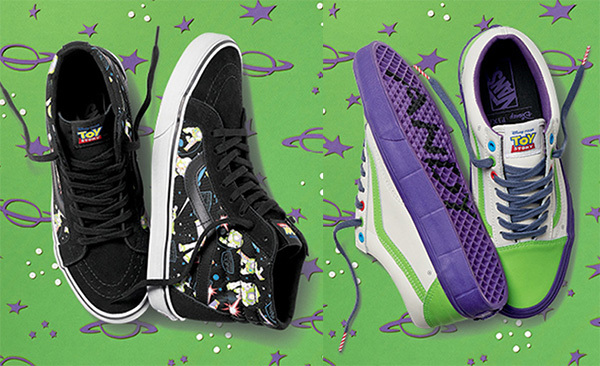 There’s the Buzz Lightyear-inspired Sk8-Hi Reissue sneakers which reportedly glow in the dark for a start. Not to forget Sheriff Woody cowboy-style high top sneakers – they’re Vans Sk8-Hi Reissue PT with yellow tartan lining to match Woody’s shirt and custom cactus embroidery. I know, just take ALL my money! The rest of the gang including Slinky Dog, Bo Peep and our favourite short-limbed dinosaur, Rex don’t miss out either – they’re all showcased in other great styles, including Vans Old Skool sneaker style. But wait, there’s more! Vans haven’t stopped the Toy Story collection at footwear – there’s tees, jumpers, socks, caps and backpacks to completely deck yourselves and the kids out in too. 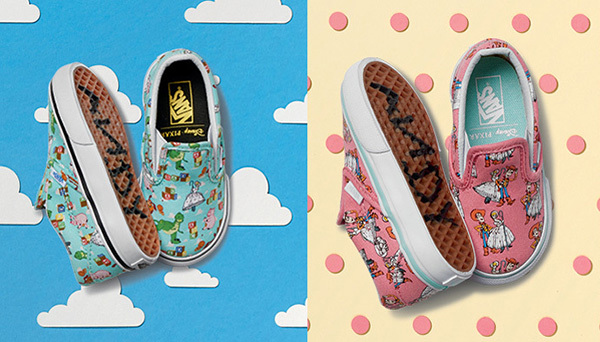 Pricing remains under lock and key, so be sure to sign up with Vans for all the details when the Toy Story Collection is launched 7 October at Vans.